Leaving Albert Lea this morning we went south into Iowa to Forest City to the manufacturing plant where our motorhome was built. They have lots of RV parking spots with electricity for its customers. 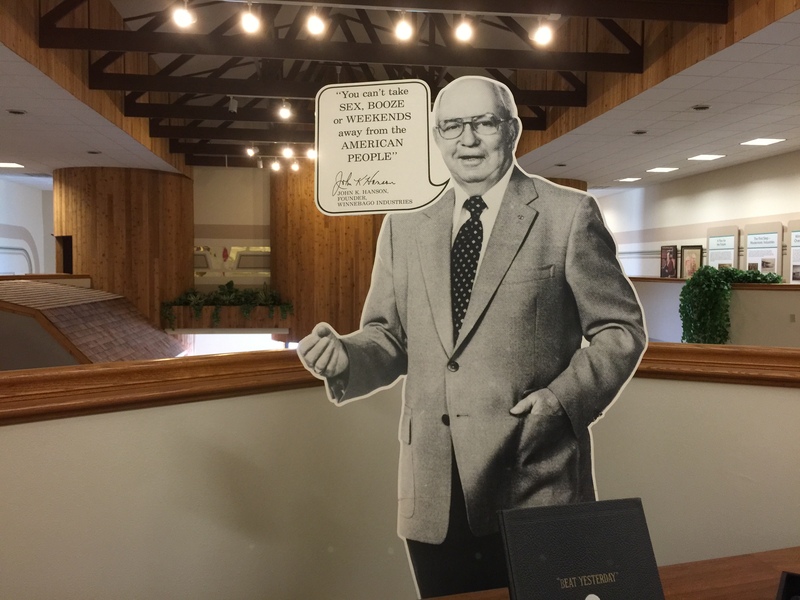 We selected a spot in the parking lot of Winnebago Industries Visitor Center and went inside. We came here because we had a few minor things that we hoped they could fix for us at the service center. Although we did not have an appointment they were happy to put us on a waiting list. We figured we would stay today (Thursday) and Friday, but if they could not get us in we would not stay through the weekend. While we were waiting we took the free tour of the manufacturing plant. The plant includes several buildings on 600 acres of land. Our tour guide said they usually pop out about 200 completed RV’s every week. We saw all different models of RV in all stages of assembly. This was the third time we have taken this tour and we still find it fascinating. Unfortunately, we were not allowed to take any pictures. I took the picture here from a photo in the Visitor Center. We just received a call from the Service Center, they have given us a 7:00 a.m. appointment tomorrow morning. 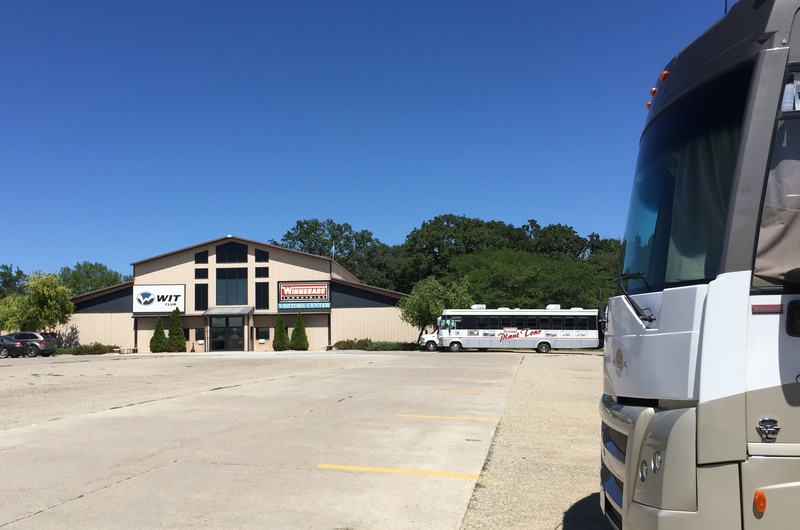 This entry was posted in August, Daily Post, Iowa and tagged Factory Tours, Winnebago. Bookmark the permalink. If you will be in the area, the tour of the Fleetwood plant is a great, more close up tour than the Winnebago factory. At least we thought so. They are in Decatur Indiana. I think I remember we were allowed to take pictures in the Fleetwood plant. 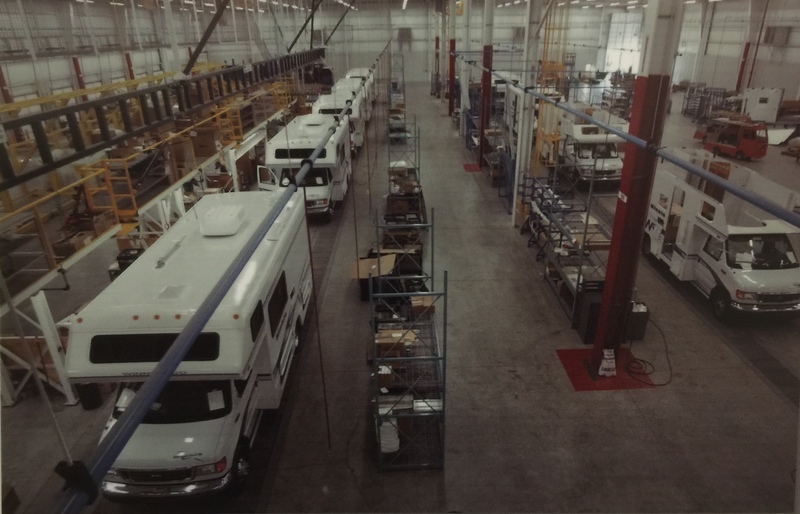 We loved seeing the RV manufacturing process at both places! Thanks! We are heading in that direction, we’ll see if it works out.